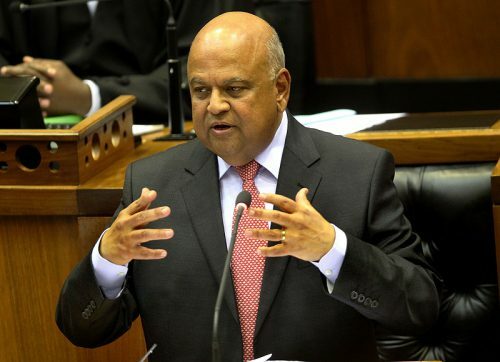 Faced with a growing deficit, depressed revenue generators and a limited tax pool, South Africa’s finance minister, Pravin Gordhan, once again focused the tax increases on high income earners. By his own admission finding the right tax balance for the 2017/18 budget was a challenge. South Africa is currently sitting with a deficit or shortfall of R28 billion – that’s by how much its spending plans outstrip its revenue. The minister has to find ways to plug the gap within the next two years. Increased taxes are the most obvious and reliable source of government revenues. And so taxes had to be increased. But even within the tax space, the tax instruments available to the minister are limited because the country’s tax base is limited. Of the 55 million people in South Africa, about 14 million are registered for tax and only 7.4 million are liable to tax, along with companies and trust. The other half of registered taxpayers fall outside the lowest tax bracket. Thus, from a direct income tax point of view only 14% of the population funds government expenditure, along with companies and trusts. The trend to increase taxes on high income earners is in line with the progressive nature of the South African tax system. Its basic principle is, the higher you earn the more you will be taxed. Progressivity is a basic tenet of taxation and is applied worldwide – in developing and developed countries although more in some countries than in others. Economic inequality in South Africa makes this approach more important in the country. But relying on tax increases – particularly on the wealthy – isn’t a sustainable solution on its own. Other ways of plugging the budget deficit would be to reduce or eliminate corruption and wasteful expenditure, and to cut government spending. The minister did emphasise the need to fight corruption, but he didn’t pronounce on any measures to reduce government expenditure. This is not the first time the South African government has focused on high net worth individuals. Previous tax increases have targeted wealthy individuals who may not necessarily be high income earners. The focus in these cases has been on taxing events such as when assets are sold or dividends paid out or estate duties. The highest rate of personal income tax for income above R1.5 million per year has been increased from 41% to 45%. This will affect about 100 000 taxpayers. It is expected to raise R4.4 billion in revenue in the 2017/2018 financial year. High income earners face the biggest hike. But other income earners will be affected too. The minister tried to soften the blow for low and middle income earners by adjusting increases for their taxable income to account for inflation. Despite this, the net effect is that they will still be worse off. The withholding tax on dividends has been increased from 15% to 20%. This is a tax on dividends paid to residents and non-residents as well as corporates. Non-residents in countries with which South Africa has tax treaties will get relief from the tax. This tax won’t bring in much revenue as it will only affect the small number of people rich enough to own shares in companies – the same group of people who are likely to be affected by the 45% marginal personal income tax rate. In fact, the rate has been increased to discourage taxpayers who prefer to receive dividends as opposed to normal income. The increase is expected to raise R6.8 billion in revenue. These taxes are the “feel-good-to-increase” taxes. They tend to be seen as trying to change bad behaviour such as alcohol abuse, smoking and indulgence in unhealthy foods. The truth, however, is that their primary purpose is to raise revenue. These taxes have been increased by more than inflation and are expected to bring in revenue of about R2 billion. The hike in the fuel levy will hit both the rich and the poor, although the poor will obviously feel it the worst. Fuel levies are passed onto consumers through higher fuel prices and higher transport prices. This increase is expected to bring in revenue of about R3.2 billion. An increase in capital gains tax for companies and individuals was announced in 2016 to take effect in 2017. This tax applies to gains made on the disposal of capital assets such as a house and shares. The rate has been increased from 18.65% to 22.4% for companies and from 13.65% to 16.4% for individuals. The effect could be that taxpayers hold onto their assets rather than sell them. This remains unchanged at 14%. This is despite projections that a 1 percentage point increase could generate between R15 billion and R20 billion per year. The rate was probably kept where it is because VAT isn’t a politically savvy tax to increase – it is a regressive tax, affecting the poor more than the rich. Also, an increase in VAT would increase inflation as companies would have to raise prices to collect the additional tax. This in turn would dampen already slow economic growth. By the minister’s own admission, continuing to raise the personal income tax burden over a long period could have negative consequences for growth and investment. On top of this, it’s not sustainable in the longer term simply to squeeze more and more out of taxpayers to fund government expenditure. The more they are squeezed, the more they are likely to resort to debt to maintain their lifestyles. There’s also the danger that people will simply revolt by finding ways not to pay tax. What South Africa needs is a combination of economic growth and a reduction of expenditure – by tackling corruption as well as wasteful spending.